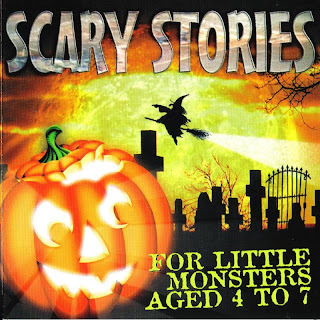 Here's a short collection of 6 "scary stories" for kids to enjoy at Halloween time (or anytime). In this comedy, Peter Ustinov is the famous pirate's ghost that returns to our time. Blackbeard has been cursed by his last wife who was a notorious witch, so that he will never die. The only way to "break" the curse is to do (for once in his life) a good act. I have no recollection of where I got this from. I no Way Out Junk shared it in November 2006, and Branded In The 80's talked about it, but didn't have the music share. Tony at "Way Out Junk" said his came from Daddykin, but the save I have doesn't have all of the tracks his has so I'm not sure exactly where I got this from. Anyway here it is in the version I have. Thanks whoever it was I got it from. THE GLOBETROTTERS!! 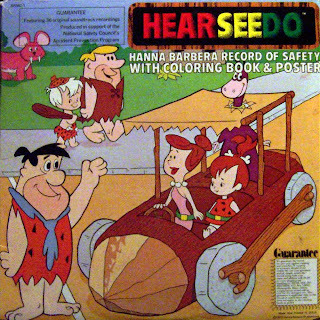 Cartoon LP Plus 2 Bonus Tracks! "Hi. 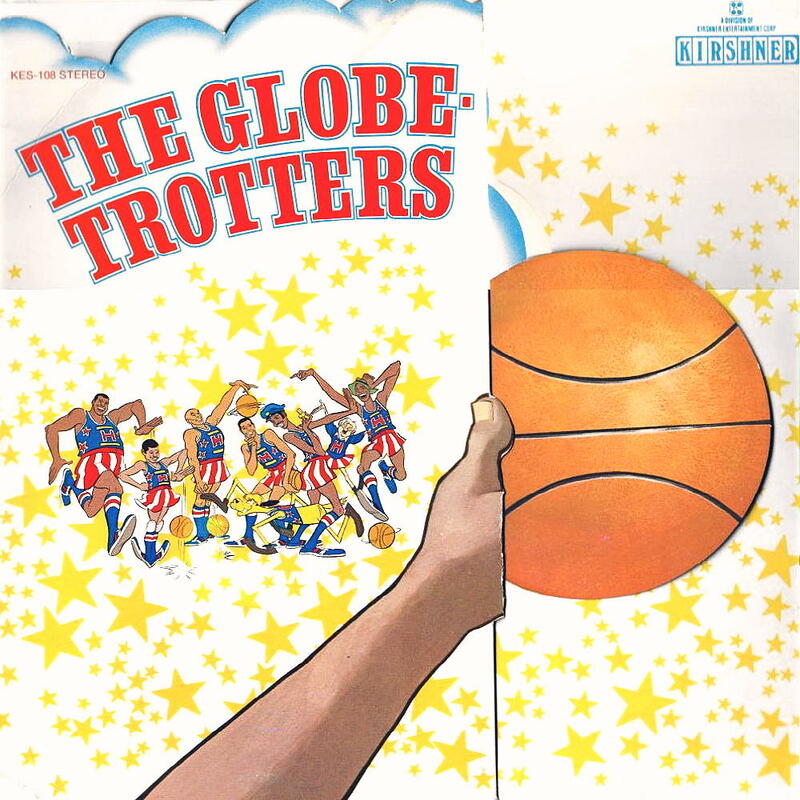 This is the Globetrotters LP from 1970. 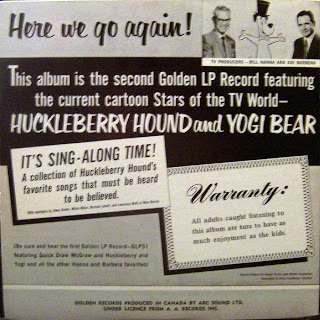 Kirshner Records released this album to coincide with the Saturday morning cartoon by Hanna-Barbera. 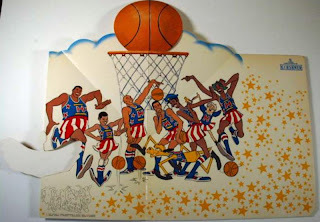 The cartoon was so popular that it made superstars out of the already famous basketball legends. Meadowlark Lemon and Curly Neal became household names in 1970. Enter Don Kirshner, who will make a bubblegum band from any known substance. The Globetrotters album is unique in that it transcended the kiddie market, and produced a huge beach-music hit with "Rainy Day Bells." Yes, this is the hit version that appears on The Beach Music Anthology box set among many other beach compilations. The other songs are a lot of fun as well. Neil Sedaka and Howard Greenfield penned half of the album, and the other half was written by gum legends like Jeff Barry, Ron Dante, and Jamie Carr. Good stuff! 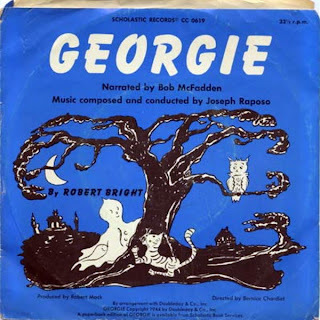 I start the CD with a bonus track, "Sweet Georgia Brown" by Brother Bones and His Shadows. 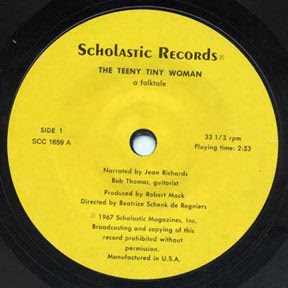 This is the original record that the real-life Harlem Globetrotters adopted as their theme song! They used to sell singles of this version at their "games." 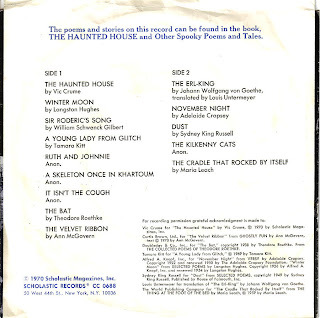 The ending track is a cover of Gene Chandler's "Duke of Earl," which was the non-LP B-side to "Rainy Day Bells." So then, here is the Complete Globetrotters! 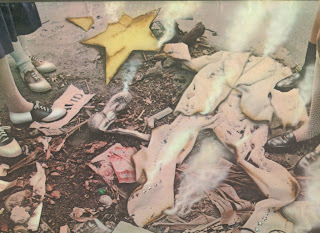 Artwork included. Enjoy! 15. 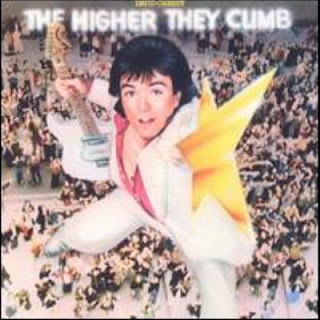 DUKE OF EARL- Non-LP B-Side"
DAVID CASSIDY- "The Higher They Climb, The Harder They Fall"!! His Rare 1975 RCA Records Debut! "Hi. Even though this was technically David Cassidy's fifth "solo" album, many consider it his first because of the circumstances surrounding it. His career to this point was orchestrated by Bell Records. Even the non-Partridge Family records had a similar thread in that they used a lot of the same musicians, songwriters and producers. Now, to my ears, the Bell period will always be the golden period. Wes Farrell's production and arrangements, using strings and harpsichords with a pop group, were the perfect complement to David's throaty vocals. Let's face it, the boy had some chops. Well, when "The Partridge Family" was cancelled in 1974, so ended his contract with Bell. The end of a great era. Now a free agent for the first time in his career, David signed with RCA, who gave him complete control over his output. Cassidy could finally make the rock and roll album that he'd always wanted to. Released in 1975, this first RCA album is almost a concept album. Titled "The Higher They Climb, The Harder They Fall," it's a tongue-in-cheek jab at his own rise and fall. Cassidy produced the album himself with the help of Bruce Johnston. In addition to Johnston, the players include Beach Boy Carl Wilson, Richie Furay, Jesse Ed Davis, Danny Kortchmar, and Jim Gordon- all session players of rock and roll legend. 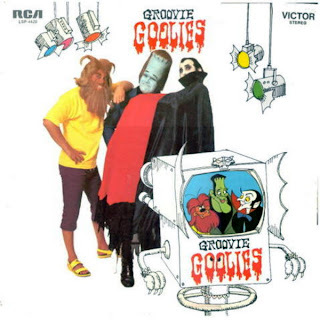 The Turtles' Flo and Eddie sing backup on a couple of songs, and there's even a comedy skit with Phil Austin of The Firesign Theatre! A fine, underappreciated album that tends to be forgotten with time. This is from my vinyl rip. Enjoy! TRACK LISTING: 01. WHEN I'M A ROCK 'N' ROLL STAR, 02. BE-BOP-A-LULA, 03. I WRITE THE SONGS, 04. THIS COULD BE THE NIGHT, 05. DARLIN', 06. GET IT UP FOR LOVE, 07. FIX OF YOUR LOVE, 08. MASSACRE AT PARK BENCH, 09. COMMON THIEF, 10. LOVE IN BLOOM, 11. WHEN I'M A ROCK 'N' ROLL STAR (REPRISE)." 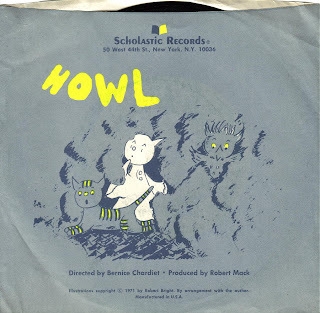 Jason at Scar Stuff shared these 7 Inch records HERE. 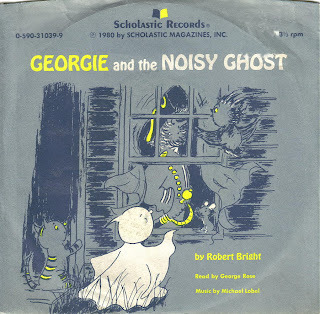 "Georgie And The Noisy Ghost"
The family's gone to town so when robbers break in to steal all of the antiques Georgie takes it upon himself to scare the robbers away. 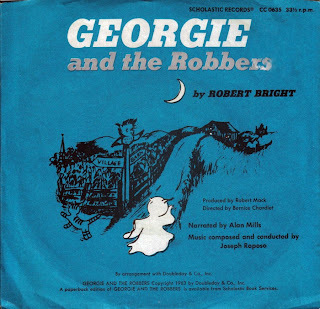 Story by Robert Bright, Narrated by Alan Mills, Music Composed and conducted by Joseph Raposo. 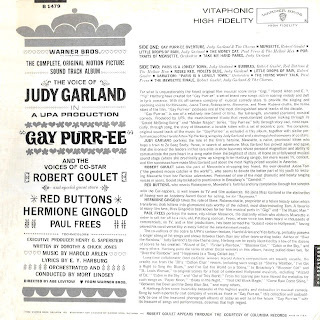 This little gem has the pedigree of a purebred Persian: it features voices of no less than Judy Garland and Robert Goulet, the original songs of Wizard of Oz composers Harold Arlen and E.Y. Harburg, and the writing talents of animation giant Chuck Jones. Garland gives life to our young heroine, Mewsette, a naive country kitty who runs off to seek the bright lights of Gay '90s Paris; Goulet is her devoted country bumpkin beau, Juane-Tom, who sets off to find her (accompanied by the scrappy kitten Robespierre). While in Paris, Mewsette falls prey to the dastardly yellow-eyed Meowrice, and his compatriot, Madame Rubens-Chatte (played with hilarious swagger by Hermione Gingold), who runs a cathouse of ill repute off the Champs Élysées. The story is slim, itself a bit of an homage to Oz: country girl longs to spread her wings, leaves home, and has many adventures, only to discover that there's no place like home. But the stylized look of the film is breathtaking--the French countryside looks like miles and miles of Vincent Van Gogh's sensual Arles--and Garland and Goulet are in fine voice. Stars the voices of Judy Garland, Robert Goulet, Red Buttons, Hermione Gingold, and (one of my favorite voice actors) Paul Frees. "Hi. Whoever said that lightning never strikes twice in the same place never met Fess Parker. The Texas actor was all the rage in 1954 as American frontier hero Davy Crockett, thanks to ABC-TV's "Disneyland" TV series. The five "Davy Crockett" installments started an unprecedented craze, with kids by the millions sporting coonskin caps and singing the famous theme song. Well, a full decade later, Fess didn't even have to change his clothes to do it all over again. When NBC launched "Daniel Boone" in 1964, the coonskin cap mania picked up again without missing a beat. Parker was born to play these two pioneers. He seemed larger than life in both roles. As Davy Crockett, he would outwit wild bears by "grinning" them into remission. As Daniel Boone, he could split a mighty oak tree with his hatchet. Fess Parker elevated these two historical figures into superhero status. I for one was glued to the TV set each week for "Daniel Boone" through its entire run from 1964-1970. 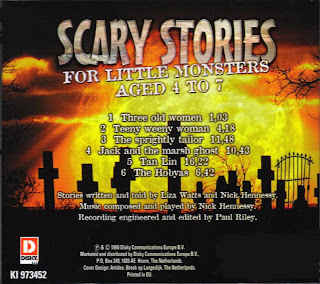 This RCA album is the closest thing to a soundtrack album that came out, and the only place that you'll hear Fess singing both famous themes himself! 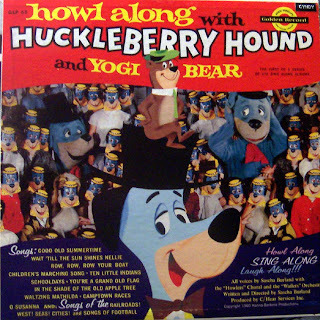 The LP opens with the "Daniel Boone" theme and then launches into eleven more songs about such great American heroes as Jim Bowie, Abe Lincoln, and Kit Carson among others. 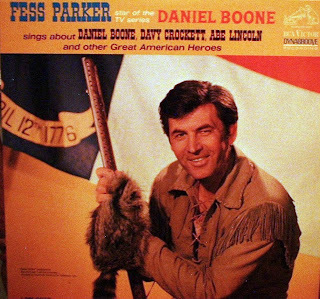 The great TV composer Lionel Newman, with Vera Matson, wrote the "Daniel Boone" theme song. 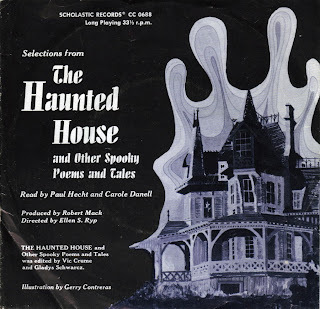 I've added two bonus versions of this classic TV theme from my VHS tapes, the original 1964 version and a revamped faster version from the later color seasons. 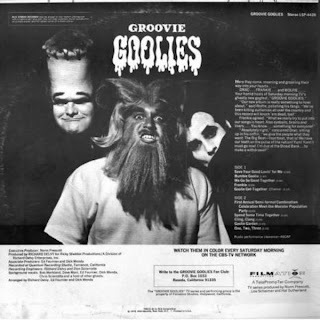 The original album cover art is included in the folder with other pics from the series. Enjoy! TRACK LISTING: 01. DANIEL BOONE, 02. LITTLE NATHAN, 03. JIM BOWIE, 04. ABE LINCOLN, 05. GEORGE WASHINGTON, 06. PATRICK HENRY, 07. DAVY CROCKETT, 08. ANDREW JACKSON, 09. BEN FRANKLIN, 10. LEWIS AND CLARK, 11. JOHNNY CLEM, 12. OLE KIT CARSON, 13. 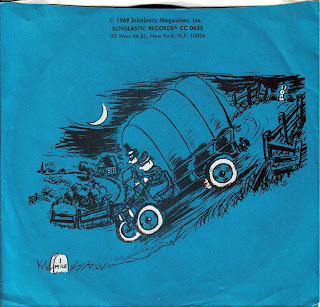 DANIEL BOONE- TV THEME (Version 1), 14. 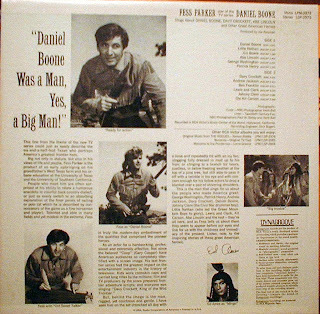 DANIEL BOONE- TV THEME (Version 2)."